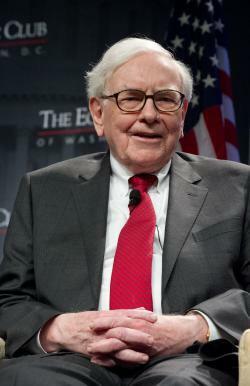 Warren Buffett’s New York Times op-ed: The rich should pay a 30 percent minimum tax. 1. Raising the marginal tax rate to Clinton-era levels will not have any impact on investment decisions. Indeed economic growth was robust during periods of much higher marginal rates—benefiting both the wealthy and the middle class. Recall that this was the same conclusion that the Congressional Research Service reached in a report Republicans recently tried to suppress. 3. There should be, according to Buffett, an absolute minimum tax of 30 percent on income between $1 million and $10 million, and 35 percent above that. No loopholes, no hidden games, keep it simple. 4. The most important point. Over the long haul, government should set its goals at spending 21 percent of GDP, and raising 18.5 percent in revenue, leaving a gap—an annual deficit—of about 2.5 percent of GDP. That is manageable with a growing economy. And these figures are close to our historical norms. The crisis of the past few years has been that revenue fell to 15.5 percent of GDP while spending crept up to 22.4 percent. An annual deficit of 7 percent of GDP is not manageable. But notice, the most significant deviation has been the revenue decline, not the spending increase! We should spend about 21 percent of GDP, but are spending 22.4 percent. We should collect 18.5 percent in revenue, but are collecting only 15.5 percent. So listen to the wisest investor in America: Raise marginal rates, run a consistent but manageable deficit, and stop worrying about those at the top of the income spectrum. It sounds very simple and reasonable, especially coming from Warren Buffet.